The Knot Worldwide is a global leader across North America, Europe and Latin America, with a portfolio of sites including leading international properties Bodas.net and Matrimonio.com. With a team of passionate professionals in 15 countries, we're committed to helping couples celebrate life's special moments. Our team is dedicated to providing exceptional service to industry pros, while also helping millions of users plan their weddings and events each year. 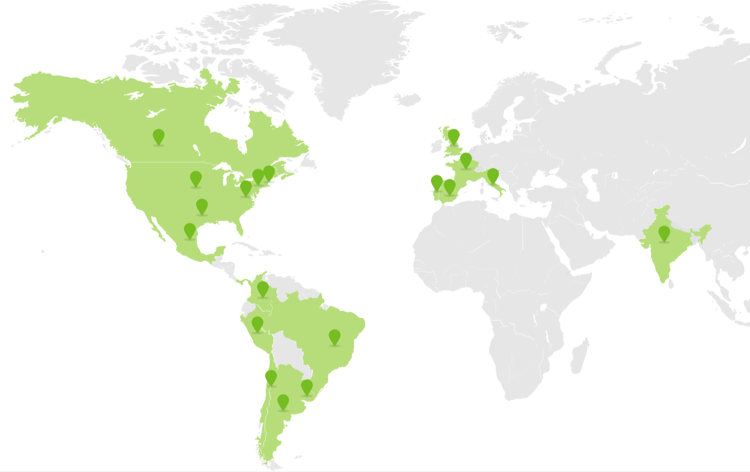 Our office locations include the United States, Spain, India, Italy, France, Mexico, Brazil, China, Ireland and more. The Knot Worldwide is dedicated to building innovative tools and resources that simplify and inspire the wedding planning process. Engaged couples worldwide have the opportunity to search for local vendors, read newlywed reviews and use comprehensive planning tools online and on-the-go. Wedding and event vendors have access to purpose-built software tools and advertising solutions to manage and grow their business.